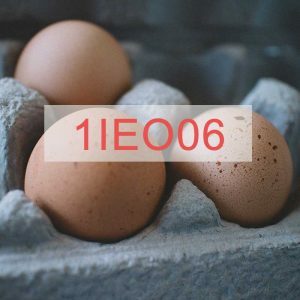 Belview Egg Farm Ltd mission is to produce, grade, pack and sell Class A eggs whilst adhering to the highest quality standards. As the business has grown over the years our company has tried to make improvements in areas such as electric and waste. In 2015 we decided to move from cardboard trays to reusable plastic trays for our egg production sites. From then on all of Belview’s producers were supplied with plastic trays for the inward collection of eggs. This has played a vital role in reducing both Belview’s and its producer’s cardboard consumption. In March 2015 we installed 2 solar panel units which generate all the hot water required for the packing centre. Then in May 2017 we decided to move the factory’s electric, and any surplus power of the farm, over to complete solar power energy with the installation of 400 solar panels. 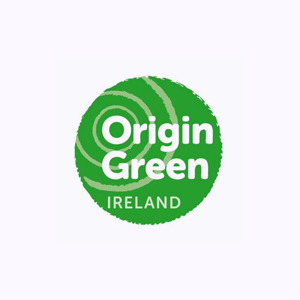 In November 2017 we joined the Bord Bia Origin Green project and have undertaken 10 sustainability targets as part of our Origin Green plan. Our target areas include raw material sourcing, manufacturing and social sustainability. As part of Bord Bia’s Sustainable Egg Assurance Scheme our farmers are required to complete a Performance Record at the end of each flock. It involves minimising the amount of resources (e.g. energy, feed, water etc.) used by the enterprise and implementing measures that enhance their environmental performance. These sustainability measures also typically deliver socio – economic and environmental benefits though lower costs of production. Since the installation of the solar panels at Belview in 2017 we have seen a great interest from our farmers on ways of improving their carbon footprint, reducing the cost of production and how sustainability will affect their practices. At Belview all our suppliers go through a Supplier Approval and Monitoring Process. Our egg packaging suppliers also go through our Sustainability Process. Both our pulp and plastic packs are from sustainable suppliers and information about the companies we use and their sustainability commitments are listed below. Since 1965, as a private Austrian enterprise, we have become the number one global supplier of clear egg packaging, leading in technology and production. We are obliged to supply perfect packaging always with the environment in mind. Our egg packs are produced 100% out of recycled post-consumer material and are 100% recyclable; all the leftovers from production process are reused in the process immediately. The shape of our egg packs is coherent and they are ideal to stack. Due to their light weight and low density, they require 50% less space than conventional egg packs. This also halves the number of trucks needed for transportation, contributing to environmental sustainability. Additionally, Ovotherm egg packs only need half the storage capacity, while also requiring less labour in the packing station. Our commitment to environment resulted in the WorldStar for Sustainability Award 2015. In 2015, greenhouse gases in extent of 18,000 metric tons of CO2 could be avoided due to our egg packaging made of R-PET. This corresponds to savings of 79 million kilometres covered by cars. Founded in 1917, Hartmann is headquartered in Gentofte, Denmark. We are the world’s leading manufacturer of moulded fibre egg packaging with approximately 2,000 employees. One of the world’s largest manufacturers of machinery for producing moulded fibre packaging. The leading producer of fruit packaging in South America, where we operate under the name of Sanovo Greenpack. Our strong market position is founded on our long-term partnerships with customers and unique technological know-how and expertise gained from experience in moulded fibre production since 1936. Our sustainable packaging consists exclusively of moulded fibre made from recyclable paper. It is biodegradable and can be recycled again after use. Wastewater and emissions from our production facilities are tightly monitored. FSC® certification is a significant feature of the Hartmann moulded fibre sustainable packaging solution, preferred over plastic packaging by seven out of ten consumers. We are committed to the reduction of greenhouse gases through our carbon-neutral energy policy of minimum emission. Carbon-neutral packaging offers the best chance of differentiation at point of sale. LOOKING TO TRACE YOUR EGGS?